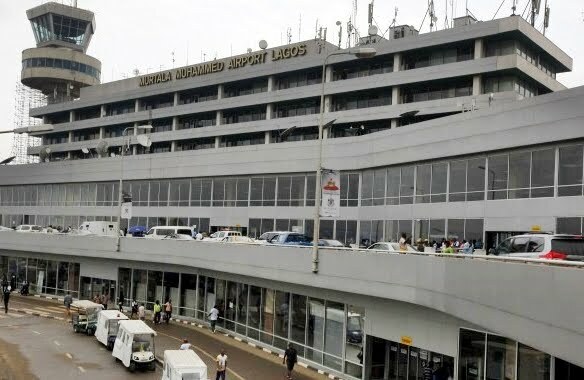 The Federal Airports Authority of Nigeria (FAAN), on Wednesday opened up concerning the rooftop leakages which were recently experienced at the terminal of the Murtala Muhammed International Airport, Lagos. While speaking a released statement signed by Henrietta Yakubu, FAAN spokesperson, on Wednesday, the Federal Airports Authority of Nigeria, said roof leakages experienced at the Murtala Muhammed International Airport in Lagos was due to upgrade of facilities at the airport. It was gathered that rooftop leakages were recently experienced at the “D Wing” of the Terminal of the airport which occurred after a heavy downpour in the state. According to Premium Times, in the statement on Wednesday, FAAN said the leakages were caused by a heavy rain accompanied by wind storm. FAAN added that the agency is doing everything possible to address the situation. Mrs. Yakubu explained that the leakages were directly connected to the civil engineering works going on at the roof top at that location which temporarily hindered the agency’s engineers from replacing the old roof members with new ones. “It was practically impossible at location due to its altitude and slipperiness while the rains lasted, but work immediately resumed after the rain subsided and the integrity of roof was restored. “We want to state clearly that this defect did not affect operations in any way or at any time at the Terminal, and that the structural integrity of the Terminal is still very much intact. FAAN reiterates her commitment to a safe, secure and improved facilitation at the nation’s airports” Mrs. Yakubu said in the statement. She said the facility upgrade was part of FAAN’s efforts to implement the newly introduced Executive Orders, signed by Acting President Yemi Osinbajo.